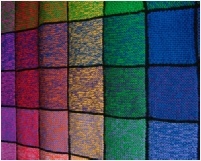 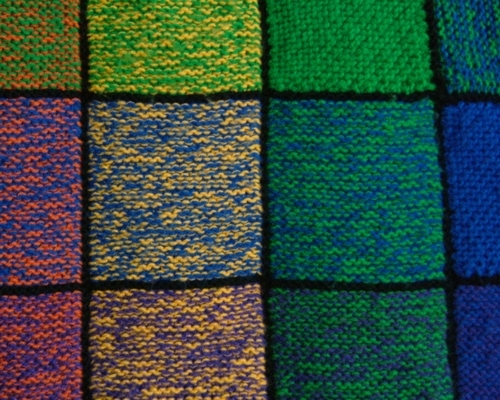 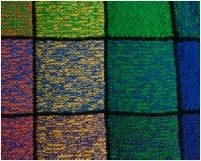 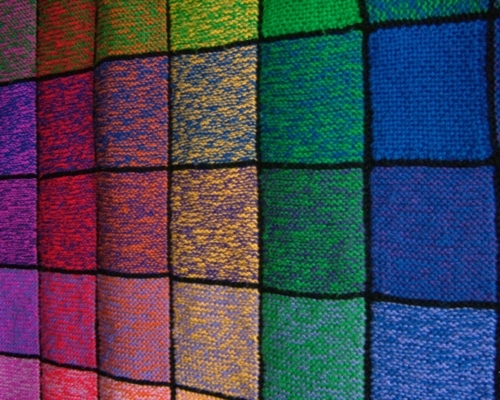 How many different squares can be made by using two yarns at a time from a choice of ten? 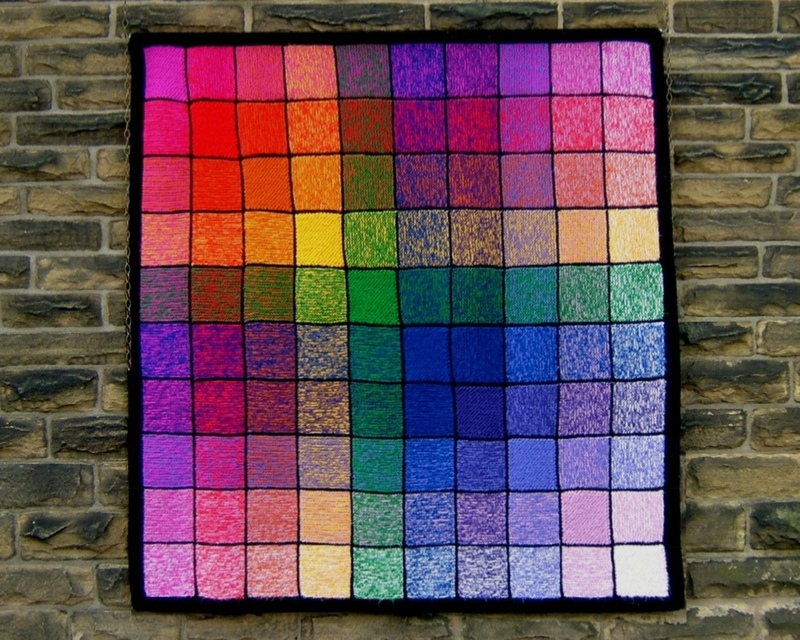 This demonstrates a practical use for triangular numbers. 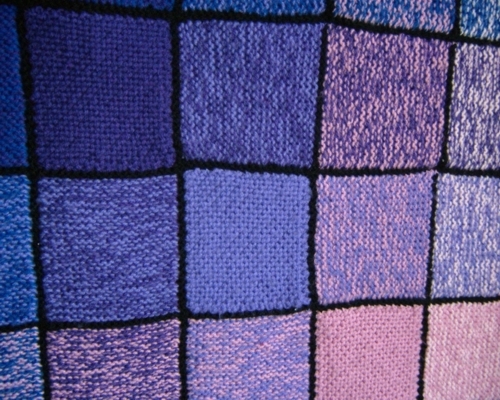 Double Vision appears to have 55 different shades though it only uses 10 ordinary, easily available colours. 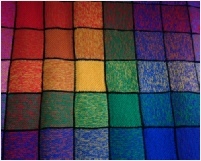 Only ten different yarns are needed. They can be across the whole spectrum or from a more limited palette. 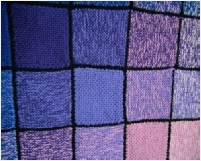 Yarns are used double so very heavy yarns are not suitable. 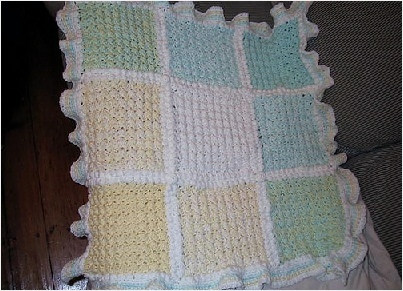 The design can easily be converted to crochet. 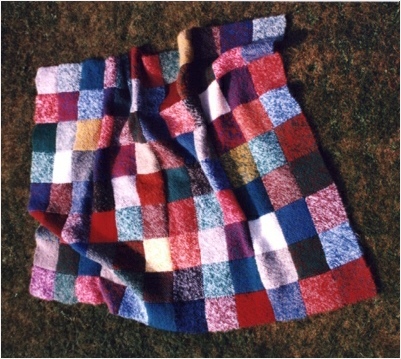 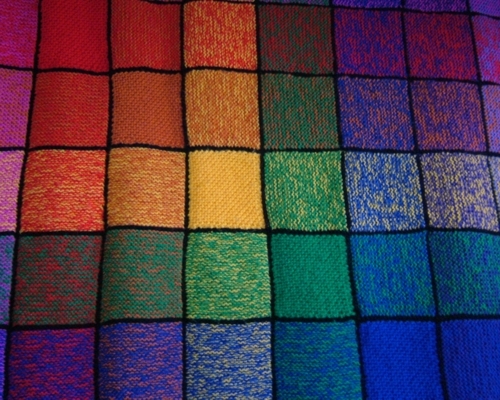 The afghan in the photo was worked in L-shapes so that the design is symmetrical about the diagonal. 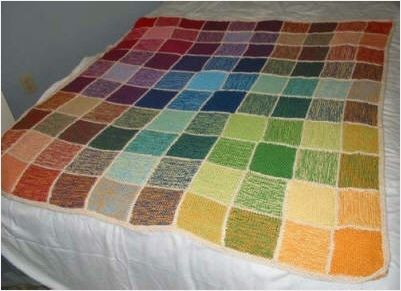 It can also be made in strips or individual squares.